Samsung Galaxy is no doubt one of the most ranked smartphone in the market. They come with brilliant features that would blow your eyes. Of course, music capability is one among these features that make it amass many devotees across the globe. 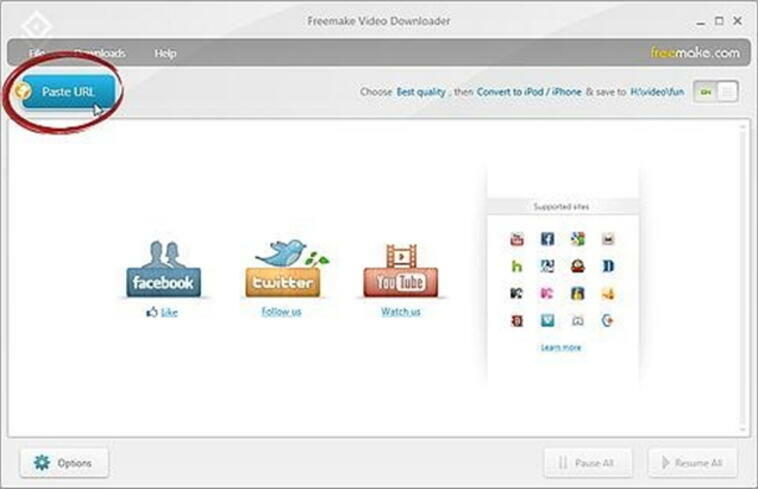 With the many video sharing sites, video downloading has been made easier. In this article, you shall be guided on 2 practical ways to play downloaded YouTube FLV video on Samsung Galaxy S6/S5/S4. Before getting started with the free step-by-step guide, you'd better know the following 2 free video downloader and converter tools first. Freemake Converter is one among the best video downloader tool you can ever think of. This tool is easy to use and features an intuitive interface. It is compatible with several popular video and audio formats. Various hot devices are supported including iPhone, iPad, iPod, Apple devices, and Android among others. You can download online videos with ease from sites such as YouTube, Facebook, Vimeo and other more than 50 sites to be precise. 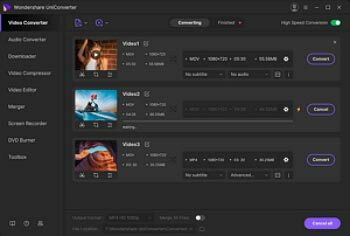 Furthermore, you can edit your videos and create audio visualizations and upload your videos to YouTube quite easily. With the support of CUDA and DXVA, the conversion speed is made 10X faster. Zamzar is easy to use online converter that can save you from online video conversion problems. It supports many popular formats and is capable of converting them within at a faster speed. Its instructions are clear and hence is an absolute no-brainer tool. Ensure you have Freemake Converter on your PC. Find its icon and run it. One the upper right- hand corner of this program’s window, enable this mode. Also perform some settings for the input quality, action, and destination of your video. Copy the link of the respective video you would like to download then click on the “Paste” button. Paste your URL link here. The download process should then start. You will have to wait a little bit, and the process shall complete. Your video shall be ready for watching. Click the “Choose Files” button. This should lead you to the Files Explorer from where you can upload the file of interest. Click the option labeled “Convert files to”. A drop-down list shall be displayed. From this list, select a format compatible with Samsung galaxy like MP4. You are provided with a box to enter your email address so as to receive the converted files. Click the “Convert” button at the bottom of the window. The conversion will then begin. Using a USB or a Wi-Fi, connect your computer to your Samsung Galaxy. Select the video from the saved folder and send them to the device. Wondershare UniConverter (originally Wondershare Video Converter Ultimate) is such a fascinating and wonderful video downloader, converter, and editer capable of solving the aforementioned related issues with great ease. You can burn and convert your videos/DVDs between almost all video formats in a tremendous speed, which cease you from limiting your video entertainment options on your device. It translates the versatility of your movies by allowing you to convert to popular formats including MP4, AVI, FLAC, FLV, 3GP, MKV, MPG, etc., and to download videos from various video sharing sites such as YouTube, Yahoo, Myspace, CNN and Google only to mention but a few. Launch the Wondershare Video Ultimate program on your PC. On the top of the window, click on the “Download” tab just near the video so as to directly download the current video. On the top left of the interface, locate the button labeled “Add URL”. This is where you shall paste the URL link of the video you would like to download. This means that you have to copy the URL link first then paste on the space provided when you click on the “Add URL” button. Click “OK” and the download process shall immediately begin. This should take less time to complete. Once the download is complete, go to the “Output Format” button and click on the “Device” option. You should see a list of devices displayed. From this list, identify Samsung and choose the right galaxy model. It is crucial to select the right file format from devices to ensure compatibility with the loaded file. Once the device selection is satisfactory, the next move is to select a destination for your video. This would depend on your choice, perhaps a convenient place. Click on the “Convert” to begin the conversion of your Samsung Galaxy videos. 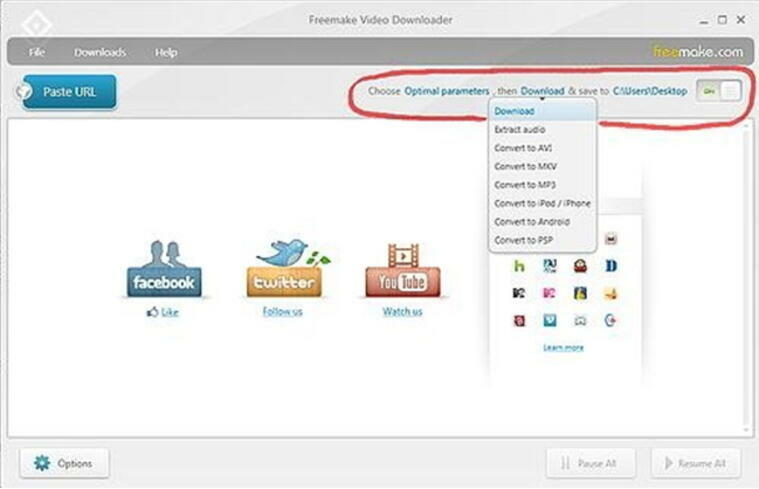 Step 4 Go to the save path to get the YouTube video and import to your device. Once the conversion process ends, you can trace the output video file in the output folder you specified. To transfer your video file to your computer, make sure there is some form of connection between the computer and your device.